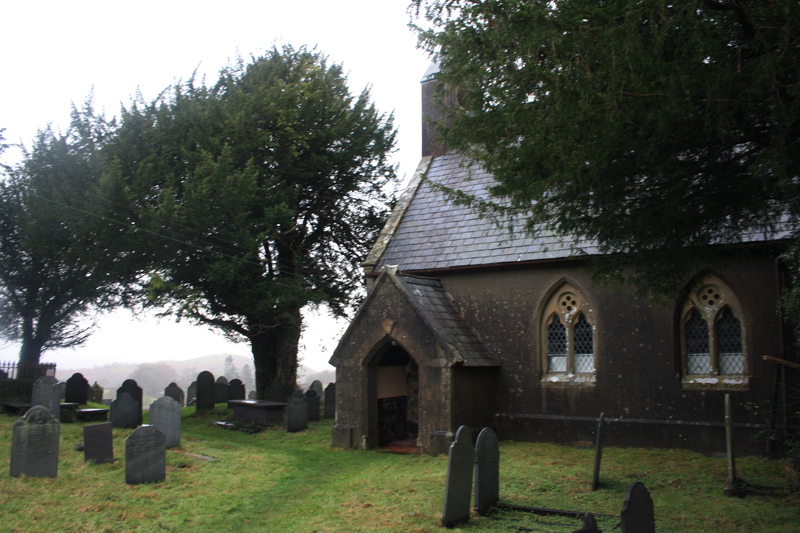 Ffynnon Armon at Capel Garmon, near Llanrwst, is one of the six Welsh wells identified by Jones dedicated to Saint Garmon. The origins of Garmon have already been discussed in the earlier post on Llanarmon-yn-Ial. 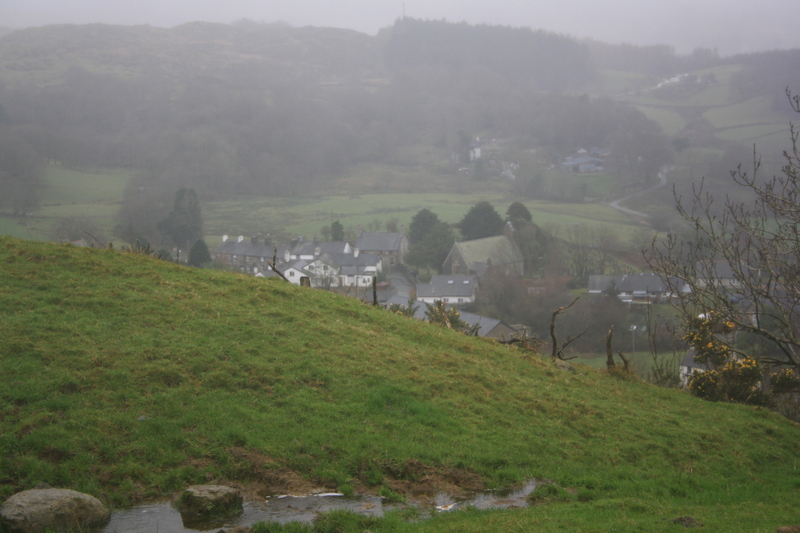 Ffynnon Armon is to be found on a flat hill top overlooking the small village of Capel Garmon, about 500 yards to the north east of the church. Water emerges from the hillside in a stone lined spout, and spreads out into a small muddy pool before flowing down the hillside in a sequence of waterfalls, and forming a strong flowing stream at the foot of the hill. 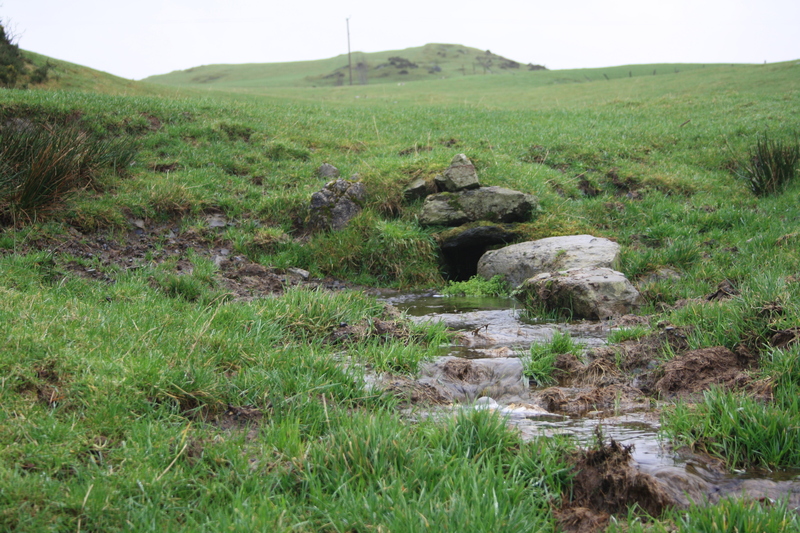 The Royal Commission visit in 1912 stated that the well was channelled in a basin of rough masonry, approximately 18ft by 24ft. 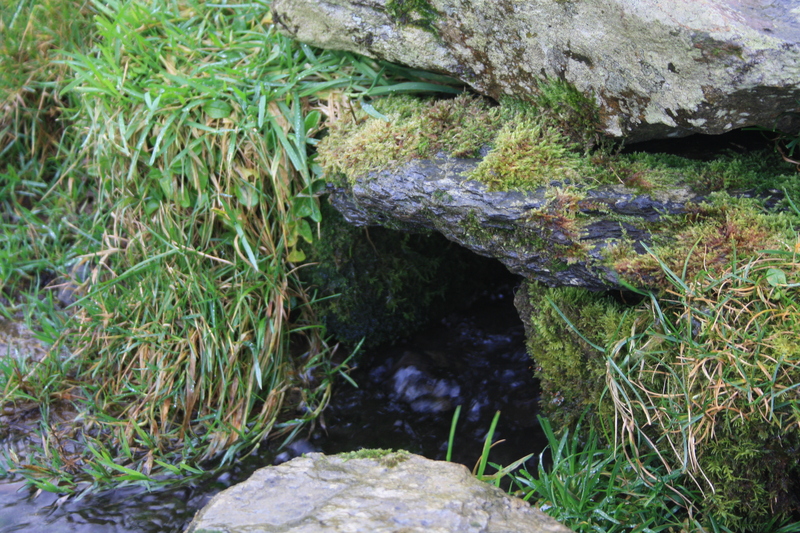 Although there was some loose stone around, there was little sign of this area of stonework if, as the description implies, this was at the water source. 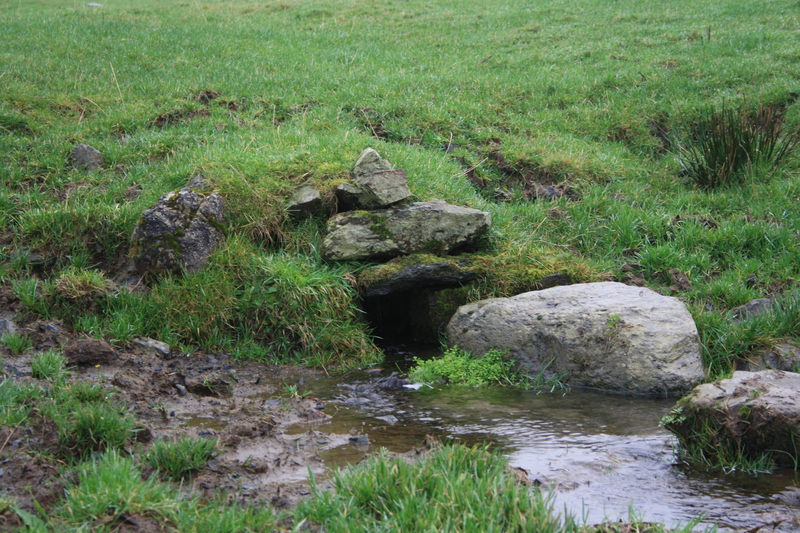 There were a couple of locations we identified down stream of the spring where this might have been, but in all events it is clear that any stonework other than that which surrounds the water source has been removed.